Summer vacations may be fun, but they can be costly if you fail to prepare your home and property adequately. Burglars see vacations as an opportunity to target empty homes. 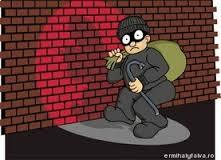 There are more than 2.15 million burglaries each year, over 65 percent of which are residential break-ins. The FBI notes that the summer months of July and August have the highest rates of burglaries, usually about a 10 percent increase over other times of the year. "Once in your home, a burglar can easily steal computer equipment, televisions, CD and DVD players, as well as jewelry and other valuable items," said Jeanne M. Salvatore, senior vice president and consumer spokesperson. "In fact, the average dollar loss per burglary is over $1,700." However, criminals tend to be opportunists, noted Ms. Salvatore. If you make your home more difficult to break into, the crook will likely target another home. Research shows that if it takes more than four or five minutes to break into a home, the burglar will go elsewhere. Make it time-consuming to break into your home. Dead-bolt window and door locks can slow a burglar down. You may also obtain a discount of 2 to 5 percent on your insurance policy for installing these devices. Make it noisy to break into your home. Invest in a burglar alarm. The most effective systems ring at an outside service, which alerts the police, fire department and other emergency services. A sophisticated alarm system could result in insurance discounts of 15 to 20 percent. Make sure you have strong doors. Outside doors and frames should be made of metal or solid hardwood and be at least 1¾-inches thick. Each door must fit its frame securely. Even the best lock will not deter a burglar if it is installed in a weak door. Garage doors also need strong locks. If you have a tool shed, keep it locked since burglars can use the tools to break into your home. Turn off your computer and disconnect it from the Internet. If you save personal information on your computer, make sure it is difficult to access. You don't want a hacker at work while you are on vacation. Keep valuables under lock and key and well hidden. Do not leave personal documents in your home office or desk--burglars know to look for them there. Put critical documents in a lock box or safe somewhere else in the house. Keep copies of important documents at another location--a relative's home, for example. Expensive jewelry should also be hidden somewhere other than the bedroom or left in a safety deposit box at the bank. Keep your home well lit. Mount exterior lights out of reach of would-be burglars in your yard or on your house. Put indoor lights on a timer so that they go on and off at appropriate times, making it look as if the house is inhabited. Make the house look inhabited. Leave blinds or curtains open in their usual position. Put indoor lights on a timer. If you are going to be away for an extended period, arrange to have your lawn mowed in the summer and your driveway shoveled in the winter. Arrange to have mail picked up or held by the post office. Stop newspaper deliveries and ask a neighbor to pick-up "throw-away" circulars. Ask a neighbor for help. Ask a neighbor you trust to keep an eye on your home while you are gone. You may also want to tell your local police you will be away. Only tell people you know and trust that you are going away. Be careful not to discuss details your vacation plans, like the dates you will leave and return, at the supermarket or hairdresser or other public places where you don't know who may be listening.